New Zealand’s new Customs and Excise Act is expected be in force from 1 October 2018. The new Act introduces a number of changes to NZ customs law, which are considered the first major changes since 1996. Valuation rulings: Customs can now make rulings on the appropriate method to determine the value of an importer’s goods. Customs have a maximum of 150 days to make a valuation ruling. Once the ruling is given, it is valid for up to three years. Provisional values: Importers who meet the criteria will be able to declare provisional values for their goods at the time of importation, when final values may not be known. The value can be finalized at a later date. Compensatory interest and late payment penalties: Customs is introducing a new system for charging compensatory (use of money) interest and late payment penalties when duty hasn’t been paid in full at the right time. Pay particular attention to the commercial invoice and instructions given to your customs brokers and carriers and make sure the invoice curreny and invoice terms of sale (Incoterm) are clearly noted. Infringement notices scheme: From 1 April 2019, Customs Officers will be able to issue on-the-spot infringement notices to anyone not complying with requirements. he Joint Border Management System changes: Trade Single Window (TSW) play a vital role in helping gain accurate information about goods coming in and out of New Zealand. Administrative review: If you’re unhappy with a Customs decision you will be able to request an administrative review. Customs staff who were not involved in the original decision will complete the review. 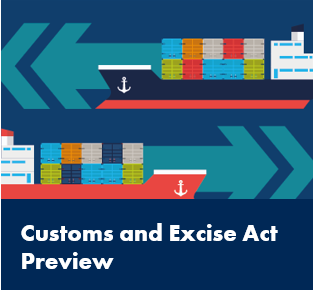 Excisable goods: There are a number of changes to how Customs treats excisable goods (alcohol, fuel or tobacco). Storing business records: Customers can now apply to store their business records outside New Zealand, including in the cloud. Comptroller’s discretion: The Chief Executive of Customs now has explicit statutory guidance to the extent of their discretion to make and correct assessments, and collect the duty identified.